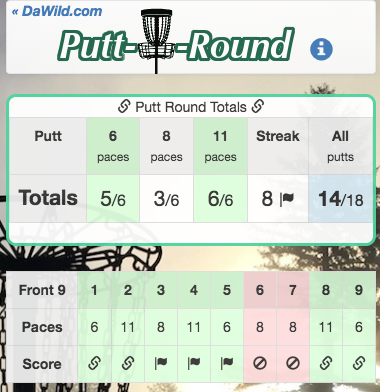 We created this putting app » so that you can be a a better disc golfer. Diamond X Black #18. The shorter of 2 top-of-the-world shots at Diamond X, this is a par 3. Tee is on edge of cliff, so watch your footing. Wind on the cliff face and the valley will differ. I use a firebird on an intense downhill line. New Teepad on Final Basket at Lunchtime! The course maintainers at Portland Lunchtime disc golf course do a great job of keeping things fresh. First they added a new basket position, then the added the short parking lot teepad. Next they added the mando, which prevents the blind hyzer shots from falling on the parking lot. But now they have installed a teepad on the next island back. 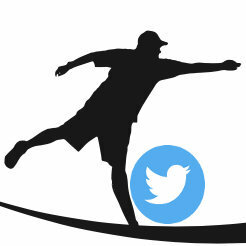 To throw a RHBH to the long tee position takes a lot of power and angle-control. 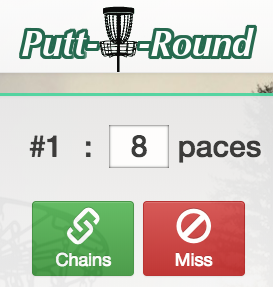 Basket 5 at Lunchtime DCG is a short hole with Lots of OB. Threw a Star Mako on slight anny to try to keep it over land most of the flight, usually skidding up the sidewalk for a bird. Felt great right out of hand, and ½ way down fairway thought it could go in. Yelled "ACE" when it hit chains. Got yelled congrats from people on 6,7,11. Didn't even need to putt. Also happens to be the first hole I ever aced, back in 2014 with an R-Pro Cro. #DiscGolf at Phipps Park in #Billings #MT. Diamond-X Blues #18: Par 4, Distance 726', Elevation -201'. Today at Lunchtime DCG in Portland, Or I saw someone tee off from an alternate position on the final hole (13 or 15, depending on the layout). For RHBH players it makes for a dramatic blind anhyzer, and reduces the repetition the last two holes presented.